This OECD iLibrary theme subscription includes online access to all OECD books and databases related to agriculture, food and fisheries from 1998 onwards. It includes the OECD/FAO Agricultural Oulook and Agricultural Policy annuals, the OECD Agricultural Statistics database, and all the other monographs on the topic. The Online + Print option includes online access to all content online in all available formats as well as the delivery of print copies of all publications released during the subscription period. The online only option excludes the print delivery. Are You Looking for Something More Subject Specific? The OECD offers the following iLibrary subscriptions for those of you that do not require a subscription to the whole theme. Individual books and/or PDFs are available through Renouf's online Bookshop section of the web site. This annual report is a unique souce of up-to-date estimates of support to agriculture and is complemented by individual chapters on agricultural policy developments in all countries covered in the report. During odd-numbered years, information on significant non-OECD emerging economies is included in the report. OECD's annual statistics and projections for major agricultural commodities worldwide. Since 2005, it has been published in co-operation with the FAO. The report presents detailed 10-year projections for production, consumption, trade, stocks, and prices for OECD countries as well as selected non-member countries. 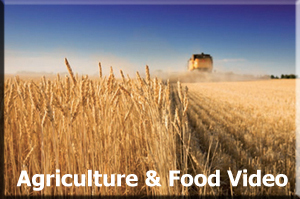 Commodities covered include cereals, oilseeds, sugar, meat, and dairy. The OECD Agricultural databases provide a unique collection of policy-relevant agricultural statistics, including detailed producer and consumer support estimates for OECD and transition economies, OECD-FAO Agricultural Outlook data, environmental performance of agriculture data and a detailed framework for quantifying the economics of agriculture. A subscription to this database also includes access to the related annuals: OECD-FAO Agricultural Outlook and Agricultural Policies in OECD Countries. - The FAO's Meat Price Index, a measure of globl meat prices, has remained at historically high levels since 2011. It currently stands some 90% higher than ten years earlier. - In 2013, support to producers across the OECD area amounted to USD 258 billion. This is equivalent to 18% of gross farm receipts in OECD countries. - Aquaculture production has increased dramatically over the past decades. Measured in volume, China is the biggest equaculture producer in the world, accounting for 61% of total production volume. - Fisheries could deliver a 13% higher volume of fish and an additional USD 50 billion or more per year in profits if all depleted stocks were recovered and efficiently managed.